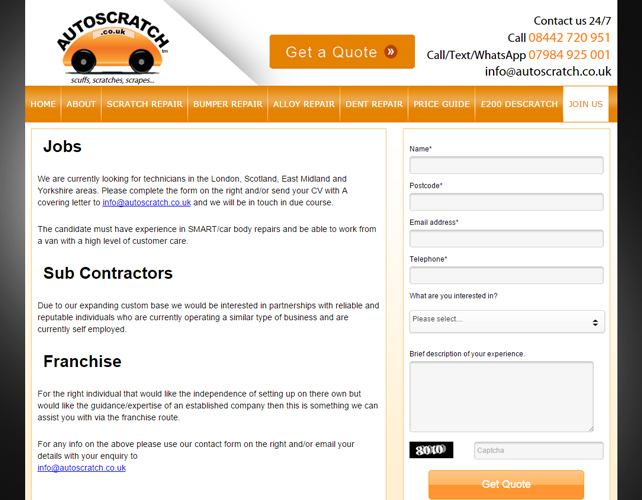 Auto Scratch is a car repair and a garage business. 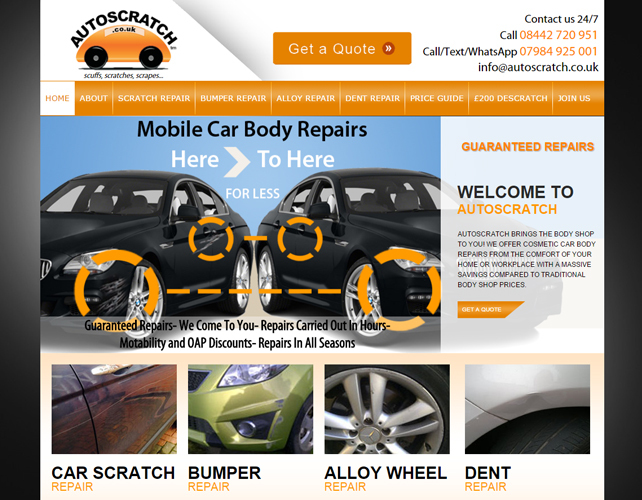 They offer cosmetic car body repairs, at an affordable price compared to traditional body shop services. 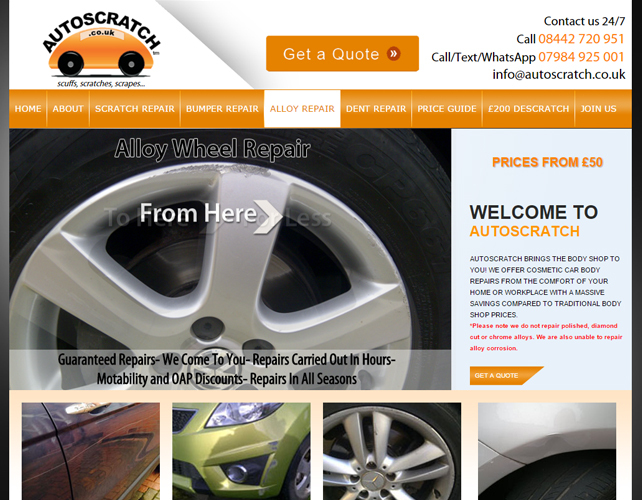 They specialize in repairing Car scratches, Bumper repair, Alloy wheel repair and Dent repair. All these services come at a very economic price. 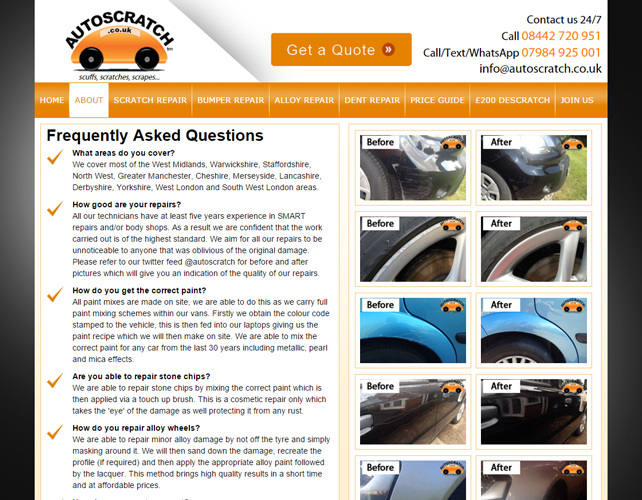 Their quality work is lauded by all their customers as they are very fast with their services, they complete most of the repairs within 60 – 90 minutes. 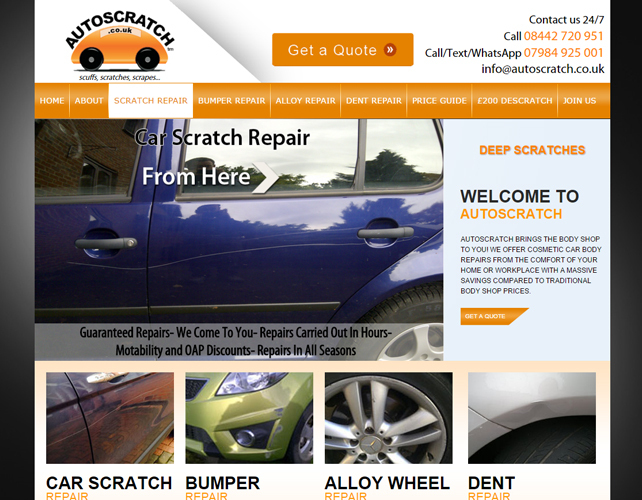 They never apply any hidden charges and their repair costs are 60% less than the traditional body shop costs.